The pattern, designed by Jo Torr, is called Ski Slope, and features an all-over texture provided by cleverly slipped stitches. This pattern shows up even in this heavily variegated yarn, making it a must-have for any sock knitter’s pattern collection. 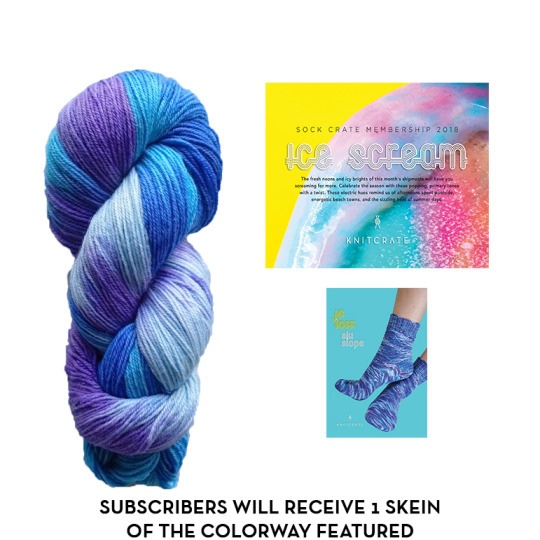 We know you’ll love this month’s pattern and yarn, so make sure you join us in the Ravelry group to knit-a-long, and if you haven’t ordered it yet, sign up for this great crate!